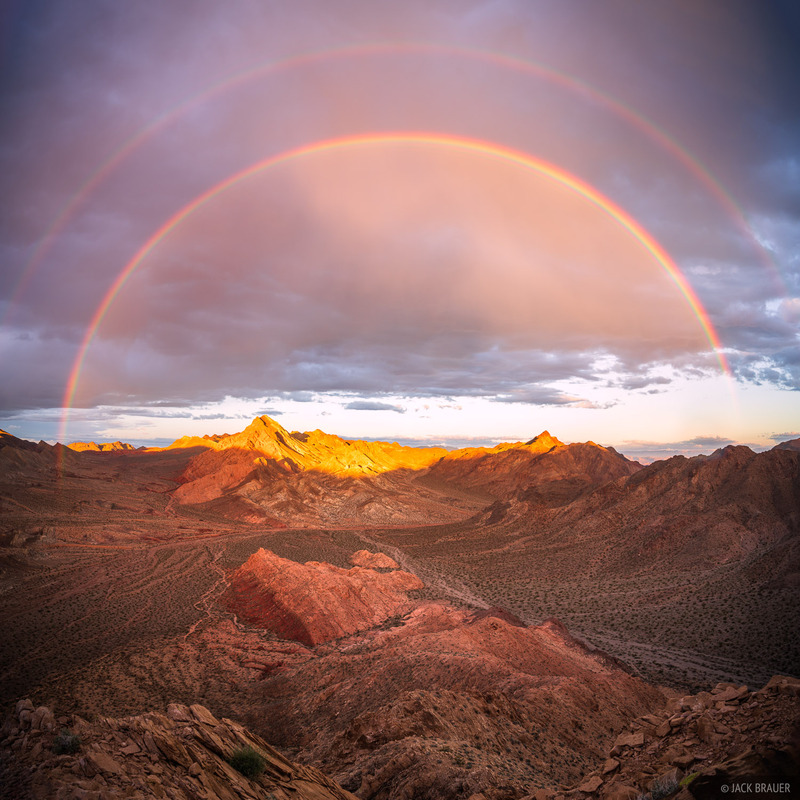 A spectacular double rainbow over the Pinto Valley in the Pinto Valley Wilderness of Nevada. As is usual in late winter, Claudia and I have been itching for some desert hiking and backpacking time, so this March we spent three weeks camping and backpacking in various mountain ranges and wilderness areas in the Mojave Desert in Nevada, California, and Arizona. 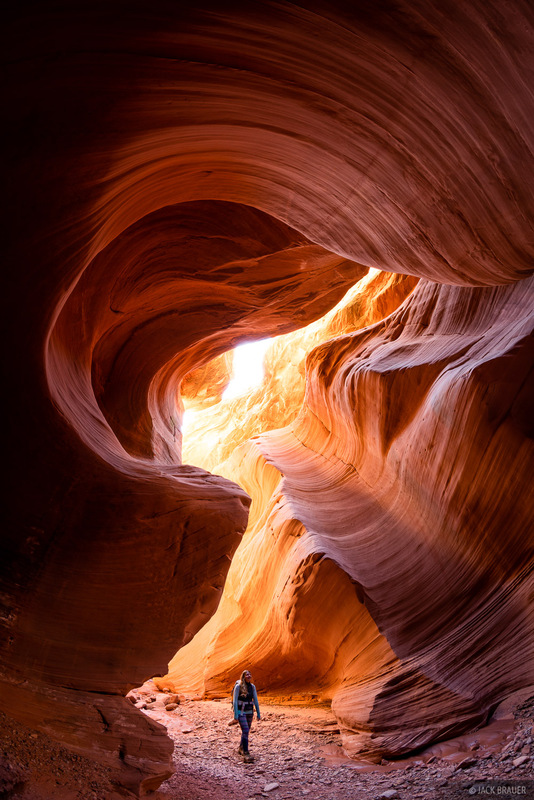 Posted in Backpacking & Trekking, Deserts & Canyons and tagged Arizona, California, Nevada on March 29, 2019 by Jack Brauer. 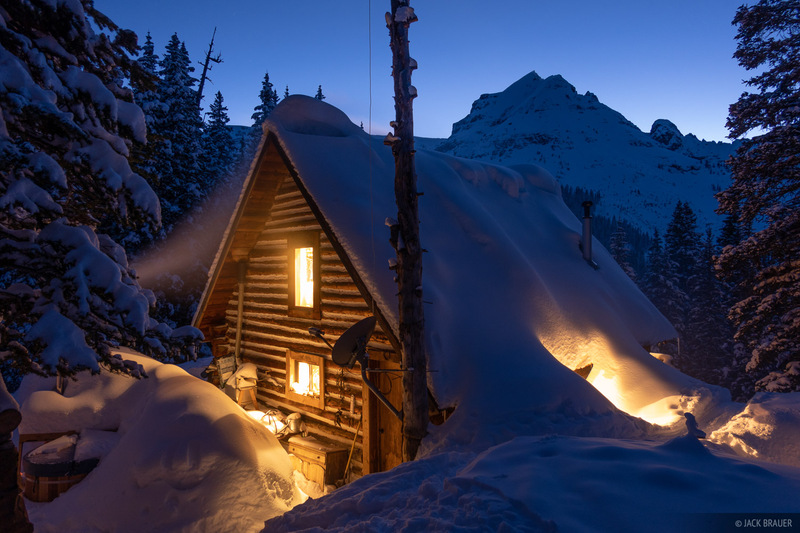 Dusk at the Mount Hayden Backcountry Lodge, with United States Mountain towering above. San Juan Mountains, Colorado. Posted in Colorado, Skiing/Snowboarding and tagged Colorado, San Juans, Sneffels on February 25, 2019 by Jack Brauer. 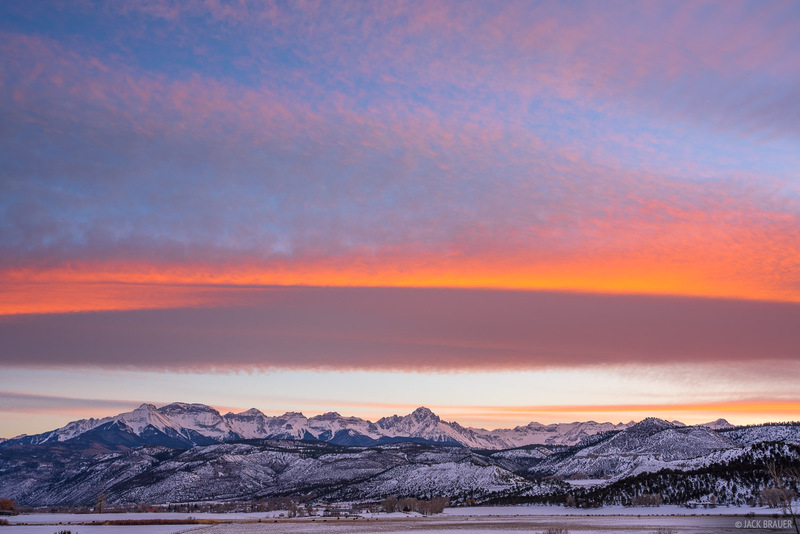 A colorful winter sunset over the Sneffels Range near Ridgway, Colorado. Posted in Colorado and tagged Colorado, San Juans, Sneffels on February 9, 2019 by Jack Brauer. 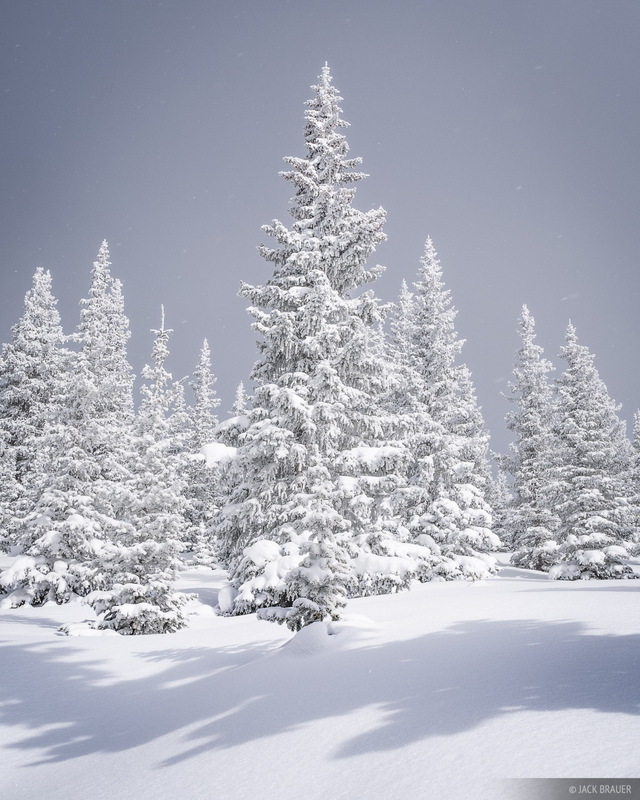 Snow caked trees in the Sangre de Cristo Mountains above Santa Fe, New Mexico. Happy New Year!!! We were fortunate to start the year off with some deep powder in Santa Fe. Cheers to a snow smothered 2019! Posted in Uncategorized and tagged New Mexico on January 4, 2019 January 4, 2019 by Jack Brauer. Morning light on a fresh December morning below the Sneffels Range in the San Juan Mountains near Ridgway, Colorado. Posted in Colorado and tagged Colorado, San Juans, Sneffels on December 29, 2018 by Jack Brauer. 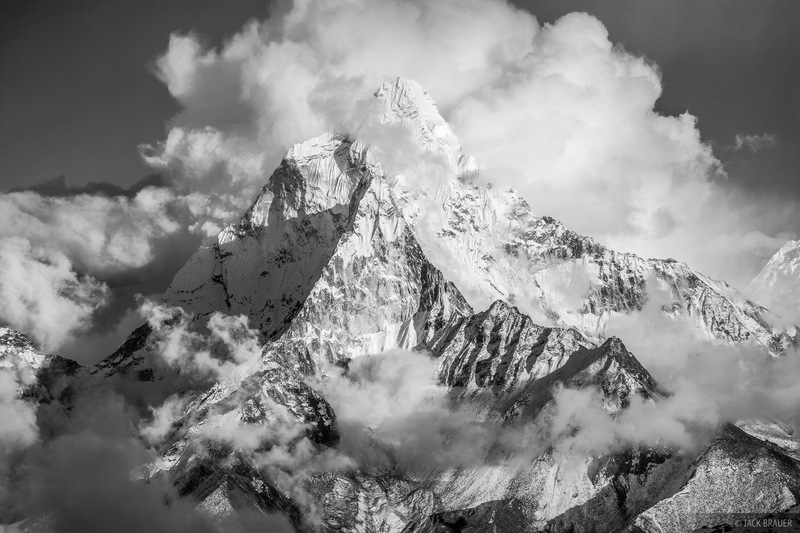 Gazing up at mighty Ama Dablam. 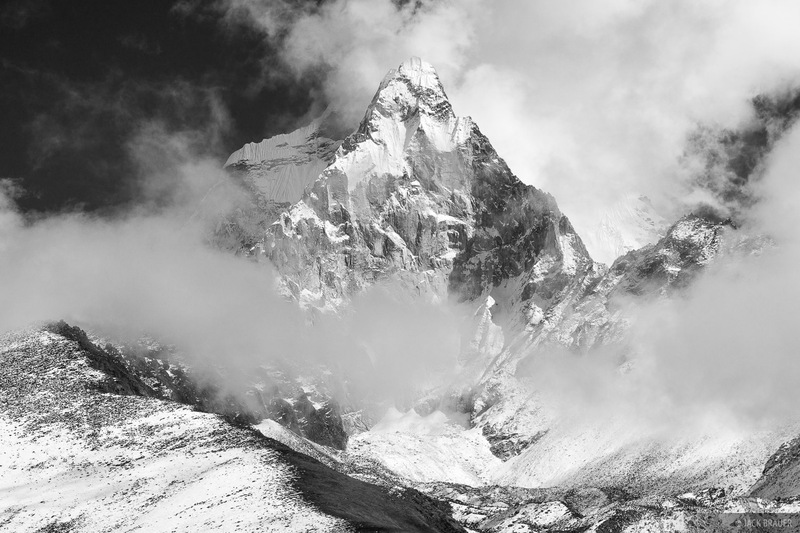 A subpeak of Ama Dablam. 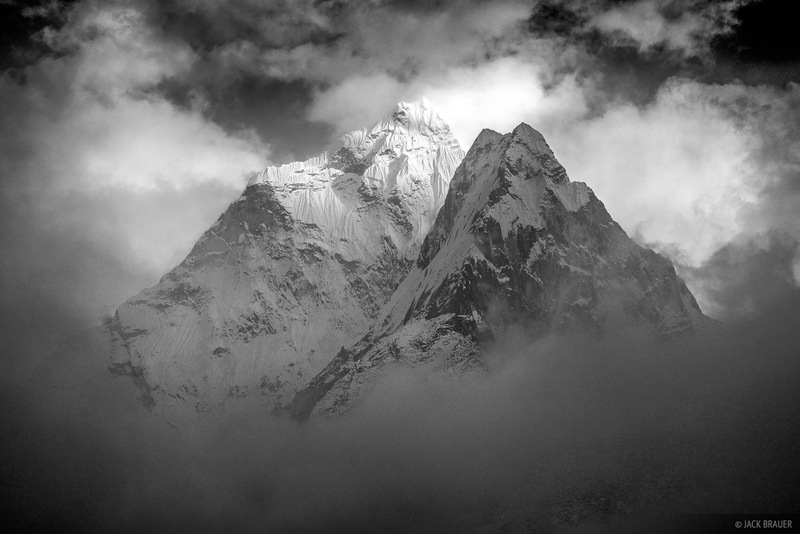 Ama Dablam (6856m / 22,493 ft) emerges from the clouds. 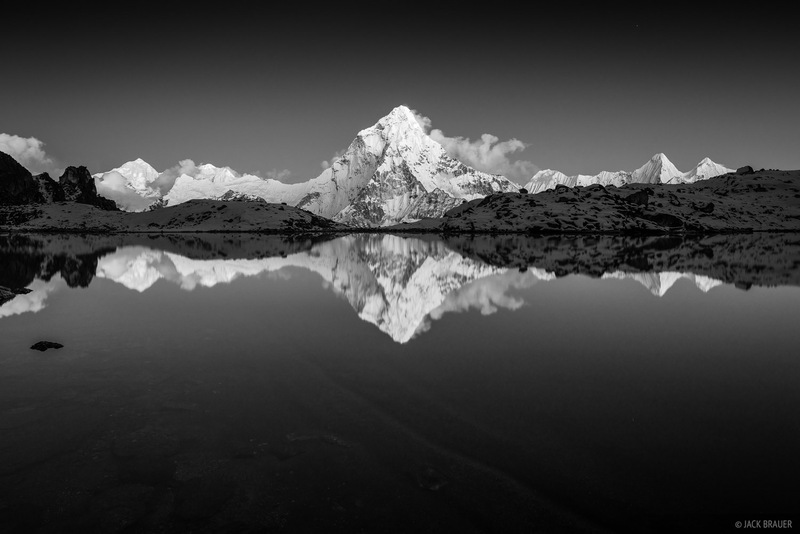 Alpenglow light illuminates Ama Dablam. Makalu (8481m, 27,825 ft) is visible at the left side. 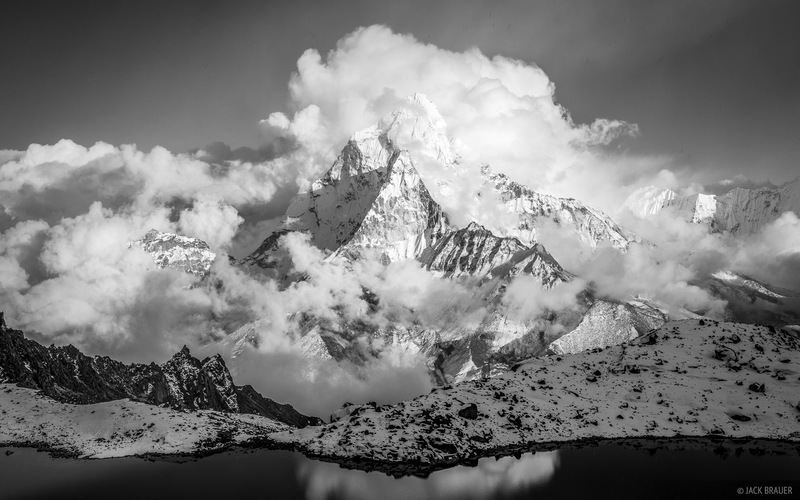 Ama Dablam hiding in the clouds. 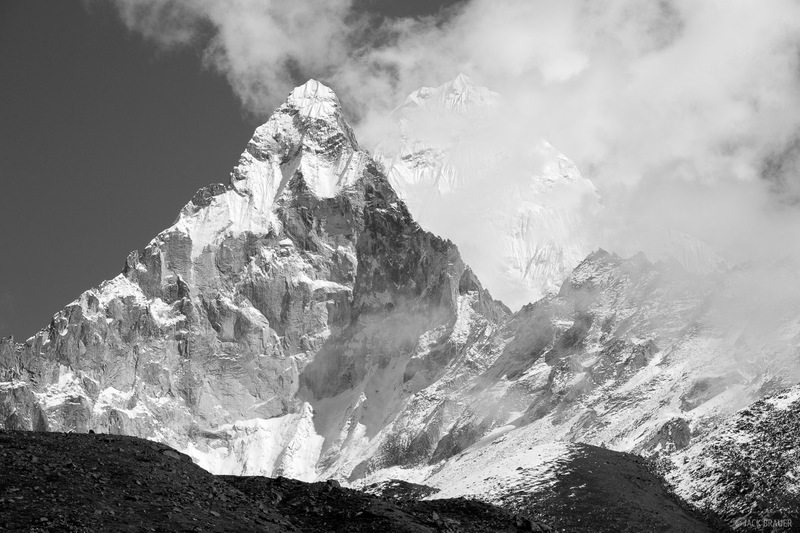 The mountains here in the Khumbu region of the Himalaya are by far the largest and most powerful-feeling mountains I’ve ever visited, and I hope that these photos convey some of that awesome power! Posted in Himalaya and tagged Himalaya, Nepal on December 29, 2018 December 29, 2018 by Jack Brauer. Posted in Deserts & Canyons and tagged Cedar Mesa, Robbers Roost, San Rafael Swell, Utah on November 14, 2018 by Jack Brauer. 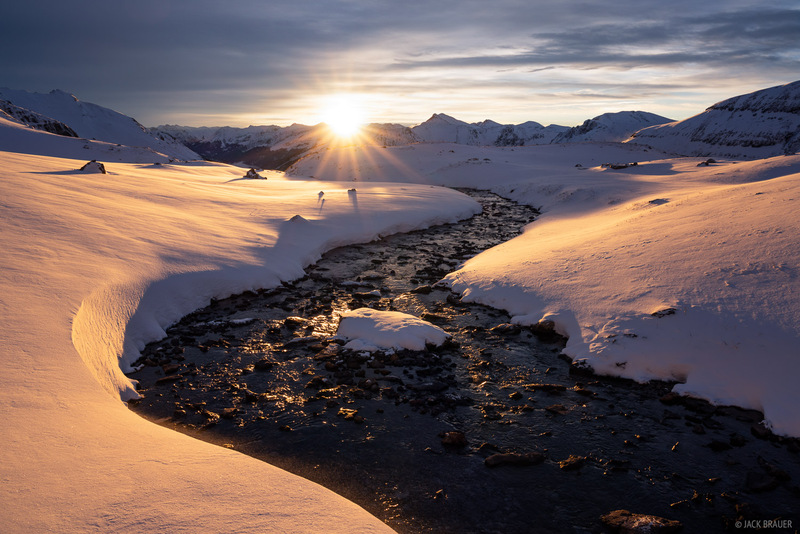 Sunrise at Ice Lakes after an October snowstorm dumped two feet of snow in the San Juan Mountains, Colorado. Posted in Backpacking & Trekking, Colorado and tagged Colorado, San Juans on October 14, 2018 by Jack Brauer. 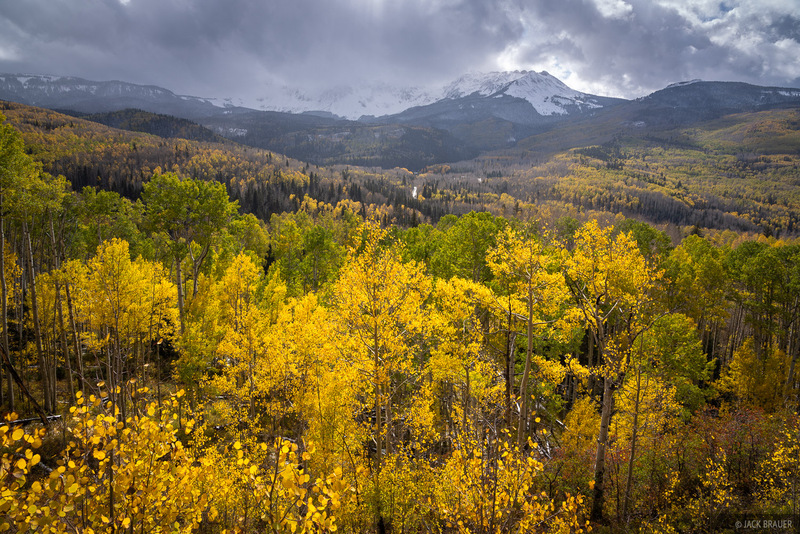 Autumn colors and storm clouds along the San Miguel Range near Telluride, Colorado. After trekking in Switzerland and visiting Claudia’s family and friends in Germany, we finally arrived back home in the San Juans just at the tail end of what seemed to be a nice long season of autumn colors here. Though I missed the bulk of the autumn action, there were still bits of colorful aspens left along with fresh snow on the peaks! 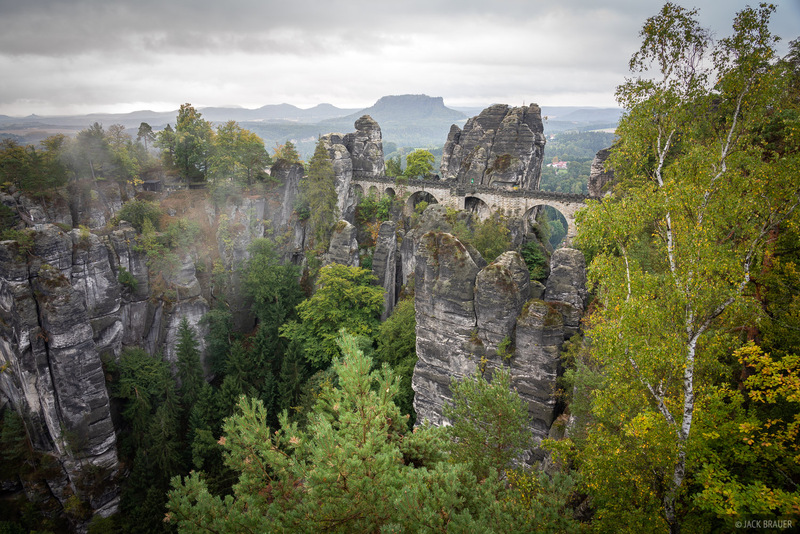 Every season is my favorite season, but autumn is really my favorite season! Posted in Colorado and tagged Colorado, San Juans on October 14, 2018 by Jack Brauer.